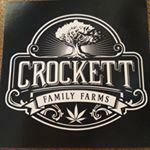 Here you can find all information about the cannabis breeder Crockett Family Farms. We've collected data about 12 Cannabis Strains breed by Crockett Family Farms (3 of this strains got reviews of the SeedFinder users, with an average rating from 7.09 out of 10!) Click on the strains to find more informations, pictures, reviews, comparisons and sources for a variety - and/or check out the Breeder Info here at the page to find out more about Crockett Family Farms. Its also possible to visualize all Crockett Family Farms strains together with all their Parents or Hybrids with our dynamic maps - check it out! Click here to visualize all Crockett Family Farms strains including all known hybrids and descendants with our dynamic map! Here you can watch all Crockett Family Farms strains and their ancestors (sorted by origin) with our dynamic strain map! 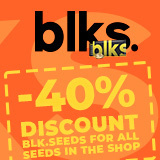 Crockett Family Farms is a wonderful new range of very high quality cannabis seeds! All of the strains have come directly from Crockett's garden!, , Crockett is an old friend of Don and Aaron of DNA Genetics fame and it is clear that they share the same passion for breeding world class marijuana strains! The Tangie has been Crockett's most famous strain for over 10 years and it was Crockett himself who first presented the DNA Genetics team with the cut that has won virtually every competition it has been entered in! Crockett's own Tangie strain beat DNA Genetic's at the 2014 Cannabis Cup and now Seed City is very proud to be able to offer the whole range of Crockett Family Farms to you!